FREE Private Registration when you register or transfer your domain. Protect yourself from spam, fraud, stalkers and worse by keeping your name, address, email and phone number private. Nobody likes paying for things that should be free. At RSH Web Services protecting your identity is completely free - FOREVER! We also provide additional security to protect you from spam and unsolicited contacts. According to ICANN regulations, every domain registrar is required to maintain a publicly accessible database called "WHOIS" containing the contact information for all registered domain names. Unfortunately, WHOIS has become a prime target for hackers and spammers looking to data mine names, email addresses, phone numbers and other sensitive information. We are proud to offer FREE WHOIS Privacy Protection for all of our domain holders without limitation! Partnering with PrivacyGuardian.org, we are able to offer complete protection for your information while complying with ICANN requirements. 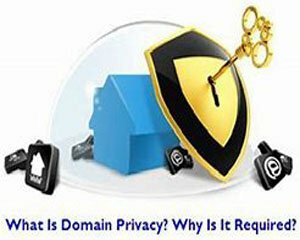 Opting to make your domain registrations private will in no way impact your ownership or any other functionality. The only change will be for people who access the WHOIS database. Instead of seeing your personal data, all contact information will be replaced with the PrivacyGuardian.org defaults. Did you know that when you register a domain, your name, address, email address and phone number are immediately made available to anyone who wants to see them? That's right. Your personal information is exposed 24 hours a day, everyday, to anyone, anywhere. Your new or existing domain can be registered in our name, so only our information is made public, not yours. You retain full benefits of domain registration. You can sell, renew, or transfer your domain. set-up name servers for your domain and resolve disputes involving your domain. This registration systems let you manage and control all postal mail and email addressed to the domain you have registered, as well as the domain's contact information. Did you know that every time you register a domain name your personal information is made available to anyone who wants it? Give our WHOIS Search a try. Enter a domain name in the domain search box located above to find out the name, address, phone number and e-mail address of the person who owns that domain. Stop SPAM now! Stop domain-related SPAM. Stop the selling of your personal information. Stop junk mail and sales calls.